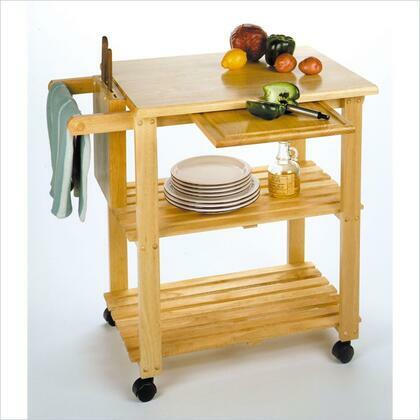 The Mario Utility Cart in natural finish is a useful addition to your kitchen providing storage for dishware and knives and also functions as a workable surface. Use the pull out cutting board to prepare your meals and keep your towels and knives close in the attached holders. 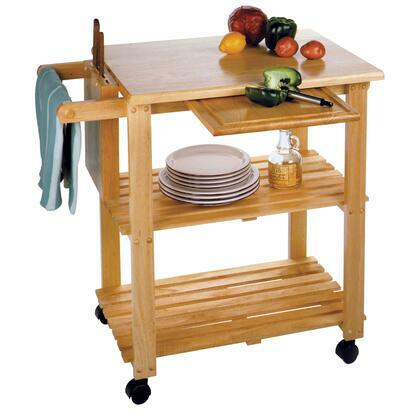 Dishware and glasses easily store on the two slatted shelves and the entire cart is mobile with the included casters. 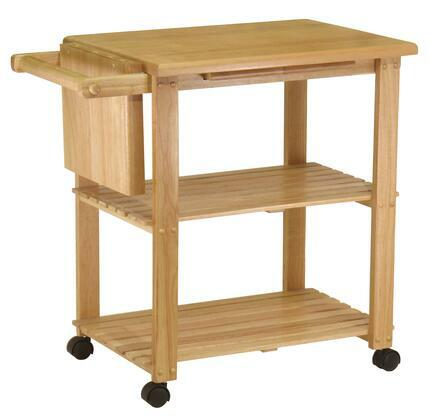 The overall size is 33.1"W x 20.4"D x 31.9"H with a table top dimension of 27"W x 20.4"D. The pull out cutting board is 14.5"W x 16.1"D and the two shelves below are 26.9"W x 15.9"D with a top shelf clearance of 11.4" and bottom shelf clearance of 12.7". 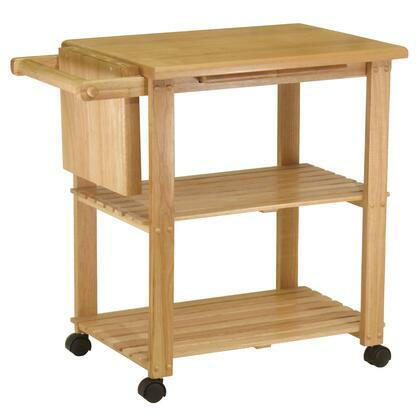 The cart is made of solid and composite wood in a natural finish. Assembly required.